Drums! is a fun iPhone app developed by Cinnamon Jelly Ltd. 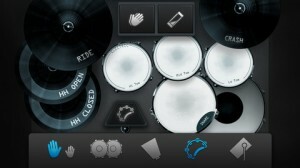 It should come as no surprise to you, our astute readers, that this app is exactly what you’d expect: a tiny drumkit, right on your iPhone screen. Drums! 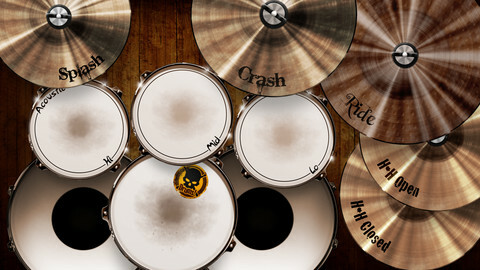 features an array of percussion instruments: five drums, and five cymbals (splash, crash, ride, and two high hats.) There are three basic kits: standard, acoustic, and groove. 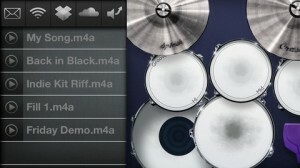 In addition, you can make in-app purchases to buy additional kits or instruments, such as an “indie” sounding drum kit, a tambourine, and yes, even a cowbell. Everyone needs more cowbell. 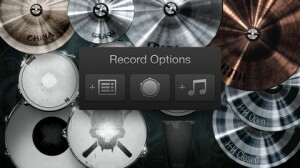 If you want to make recording and sharing easy, you’ll probably want to budget for the $1.99 Record & Share IAP. This lets you record with or without music, and then export with ease to Dropbox, SoundCloud, or email. Both tapping and dragging motions are accepted by Drums! as an input, which means it’s really easy to play “machine gun” drums. You might not be able to play Neil Peart’s drum solo from YYZ on a real kit, but the ease of input here might make it a bit easier to do on a screen than on a kit. Then again, Neil Peart’s set is a lot larger than the drum kit included here…but I digress. This would be a good tool for bands in search of a temporary solution while they search for a proper drummer, or for anyone who loves percussion but doesn’t want to lug their whole kit around. If you love drums, the sound quality of the various set-ups here is actually quite impressive. 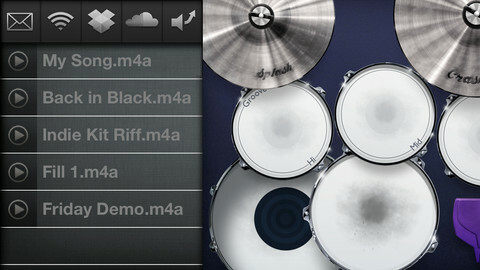 Drums!is compatible with iPhone 3GS, iPhone 4, iPhone 4S, iPhone 5, iPod touch (3rd generation), iPod touch (4th generation), iPod touch (5th generation) and iPad. Requires iOS 5.0 or later. This app is optimized for iPhone 5.